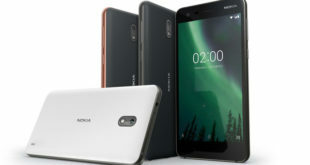 Cheap smartphones are getting better. Or not? Within past few years, the budget and the mid-range segment got polished a lot. 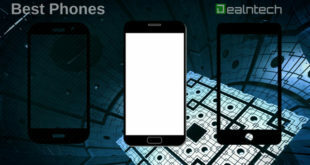 Features we used to expect in none other than flagships are dozed in the mid-range smartphones. Oneplus is one such brand, they overture flagship level specs at half the price. Oneplus has managed to make hype of the previously launched Oneplus 5. 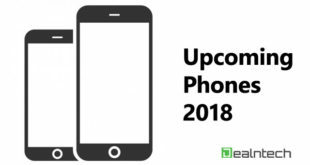 It was one of the most anticipated phones of 2017, think flagship smartphones like iPhone X/8/8Plus, Note 8, LG V30 got their birth the same year. But still, Oneplus 5 was in the headlines, Why? Obviously, it’s the combination of powerful specs, excellent cameras, and affordable price. Apparently, I quit if you start coming to the display, but still, there are tough reasons to buy OP5 over N8. Let’s discuss them all. Just like iPhones, Samsung flagships are getting overpriced. And interestingly, after the arrival of the next year, they’re getting toned of a price cut. On the other side, Oneplus has its own tagline “Flagship in affordable price”. And they offer. Don’t they? Oneplus 5 is priced at Rs.33,000 (the 6GB variant), however, Samsung’s Note 8 at Rs.67,900. Look at the price difference, shouldn’t Samsung be the shame of it. Even with, half bucks spent on the Oneplus 5 you can beat Note 8 in certain sectors. Though both the smartphones got almost the same battery, Oneplus 5 performs better. Thanks, to the lighter skinned ROM, a 2k display. On the other side. The Note 8 has got an incredible infinity display tends to more usage of battery. Dash charge technology we can consider as one of the USP of Oneplus smartphones. It is blazing fast. Surprisingly without any heating issues. In the past, a phone with 2000mAh or so battery used to take around 2.5 hours to charge completely. Dash Charger is all the way faster yet efficient. Coming to the comparison, if we plug-in both Note 8 & Oneplus 5 side by side on charge at the same time for an hour. After an hour of charge, dash charger managed to Charge Oneplus 5 from 0% to 95%, but Note 8 fast charger was just word of mouth. After complete 1 hour of charge, Note 8 was just 48% charged. This test was made with both the phones in airplane mode. Although, I can’t say you will get the better camera in Oneplus 5. Definitely, Note 8 performs excellent overall. However, in the certain department, shots taken with Oneplus look incredible. Samsung used to over-expose the images to get better skin tones. It depends on the users, if you’re a fan of natural colours with original skin tone, Oneplus 5 would be a better choice. As far as the low lighting photography is concerned, Oneplus 5 16MP camera has f/1.7 aperture allows more light to be captured, tends to get sharper photos even in the dim lighting. Apart from the bigger RAM size, Oneplus 5 has got better RAM Management as well. Even with the 6GB RAM variant, Oneplus 5 a lot does better. It is able to keep even the big & bulky games in the memory. Oneplus 5 manages to keep, Temple Run 2 in the memory. However, Note 8 loaded it again which shows poor RAM management. You may not face any issues with day to day usage. Recently seen on Galaxy S8 & S8 Plus, the awkwardly placed fingerprint scanner. Samsung was expected to fix it with the further launch, BUT! Rather it placing it to a better position, it was moved further left. With a display more than 6 inches, it wouldn’t be easy to reach the scanner SO EASY. Or, it. Coming to the performance of the fingerprint, Oneplus 5 has the fastest fingerprint scanner ever in the history of smartphones. Once you touch it, the phone will be unlocked instantly (leaving the case of fingerprint mismatch :P). While on the Note 8, after putting your efforts to reach the fingerprint sensor, it isn’t that fast. Oneplus 5 sensor takes 0.2 seconds to unlock it. However, Note 8 takes around a second. So, in case you need a quick response from your phone, Oneplus definitely does better. There are only a few skinned ROM’s I can recommend over the Stock one. CyanogenMod (currently Lineage) and Oxygen OS were the top picks. Oxygen OS is the lightest custom skin I have seen. It is the only Custom ROM which is free from any bloats. This is also one of the reason, Oneplus 5 manages to beat even the stock running Note 8. Nevertheless, the difference was so small, but Oxygen OS has lots of more features you can play with. The switching between, on-screen and the physical buttons was one of them. The night mode let you convert the whole theme to the darker one. Reading mode was the one I liked, you can set apps to for with reading mode. Oxygen OS has lots of Gestures you can hang around with. However, in the performance it has no lags, it has the launcher which wouldn’t let you forgot the stock feel, it’s almost same as the pixel launcher. The points listed above doesn’t denote, Galaxy Note 8 is not a good smartphone. But Oneplus 5 gives better value for money. It is worth every penny; you spent on it. Note 8 too is a good choice, but it is overpriced. There are some sectors where Note 8 did fluently. I quit when we talk about the display and the bezel-less design. So, these were some of the reason, Why I bought the Oneplus 5 over the Note 8. Do let me know, What do you think about the Flagship vs Flagship killer. Correct me if I were wrong somewhere. Dash Charge is the reason for OnePlus beside any other device. Hats off to OnePlus for such incredible device. Great content, serve us a little more.